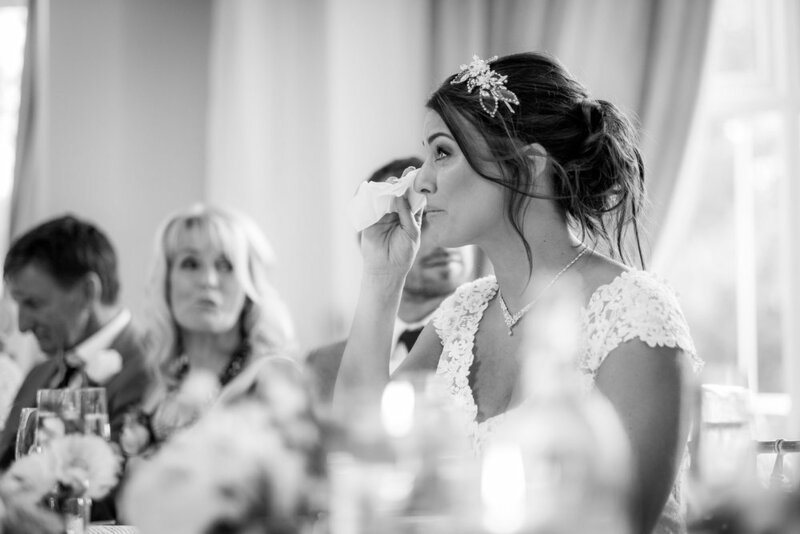 THIS WEDDING WAS A PARTY FROM START TO FINISH FILLED WITH LAUGHER, TEARS AND GREAT MUSIC! 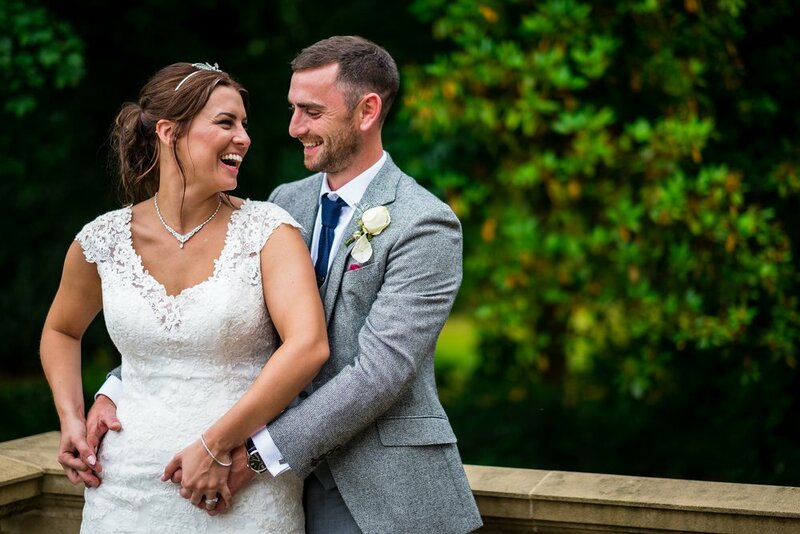 Marie and Danny got married in summer at the gorgeous Ashfield House, which is a modern country house in Lancashire. It was a beautiful day and even though it tried to rain it didn't dampen the mood at all! 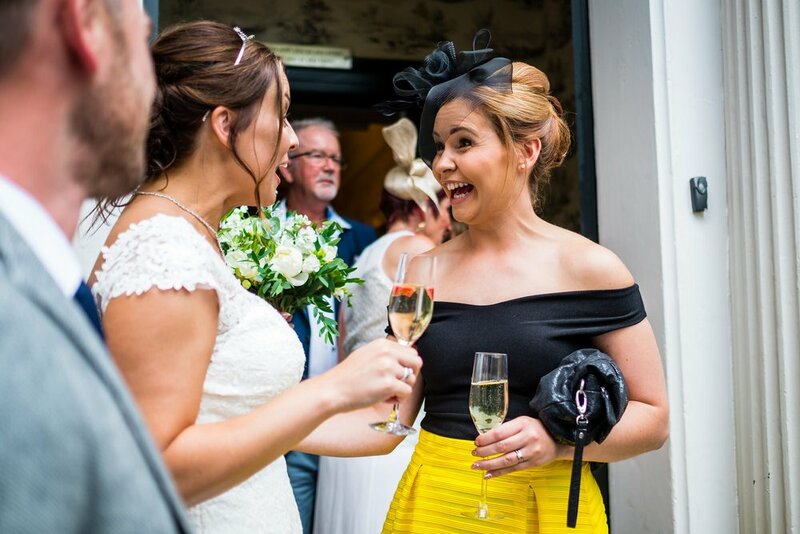 Marie got ready at Ashfield House with her bridesmaids, and the atmosphere was so energetic. Everyone was super excited and a little emotional as Marie opened her wedding day gifts. She then walked the short trip to get to the ceremony. She went arm in arm with her Dad while the paige-boy looked super excited to be going to the wedding. 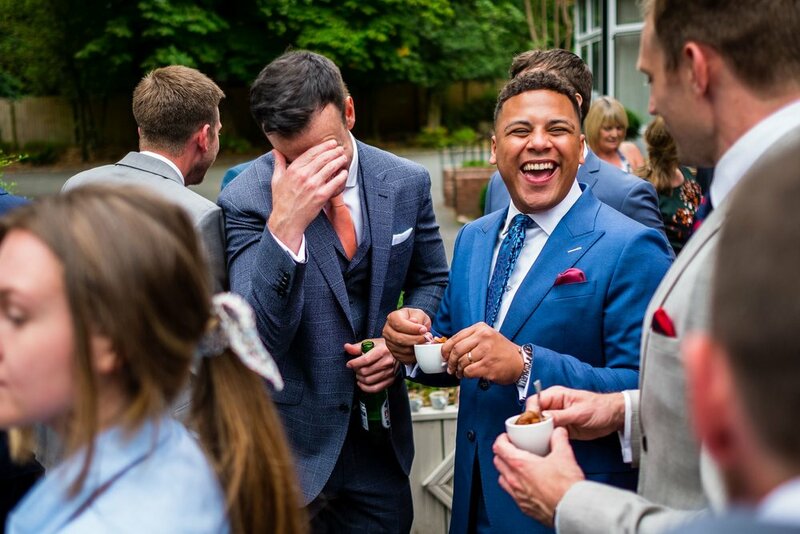 Danny got ready at Ashfield House also with his groomsmen, who like the girls, were super excited for the wedding day ahead. The ceremony was a beautiful service in the main hall. The place looked lovely with the modern flower arch at the end of the aisle. 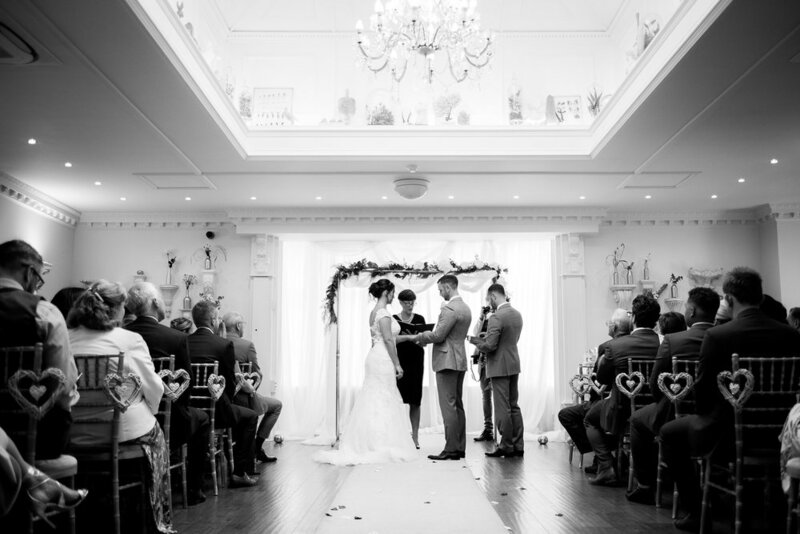 During the ceremony guests watched on with pride as they exchanged their vows. It was such a personal service and a real pleasure to capture. The crowd went wild when they did their first kiss and the mood didn't change from then on. The reception was in the bar at the venue. They chose Ashfield House because it really allows you to add your own personal touch without anything there overpowering the look you want and they just love it there. 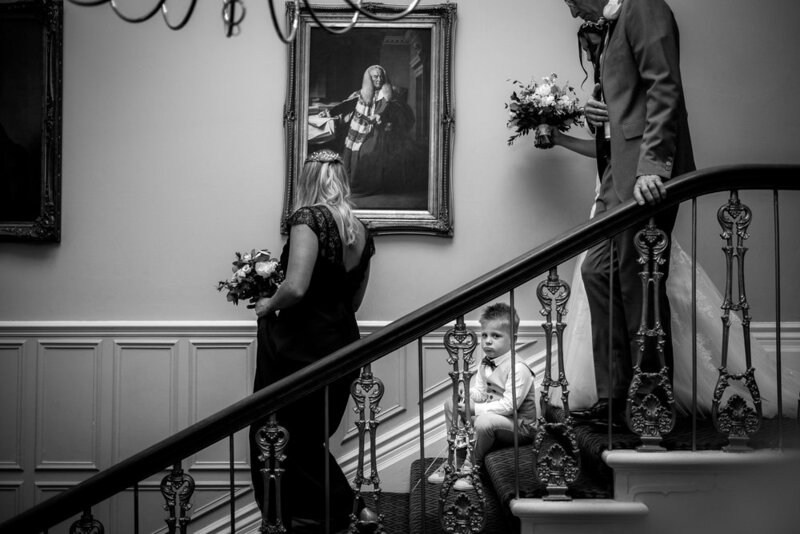 It was a family and friend orientated wedding, which is exactly how it should be. I love shooting friend filled weddings because a wedding should always be about the people more than anything else! They had gin and tonics all round in the afternoon, and a live band in the evening. The live band killed it in the evening and had the dance-floor packed all night!Live music at a wedding really is a great investment. The best part of the day was capturing the roller coaster of emotions, because it was so romantic and personal. I love capturing the natural moments and this day was full of them. They also had amazing stories during the speeches – it was so much fun! 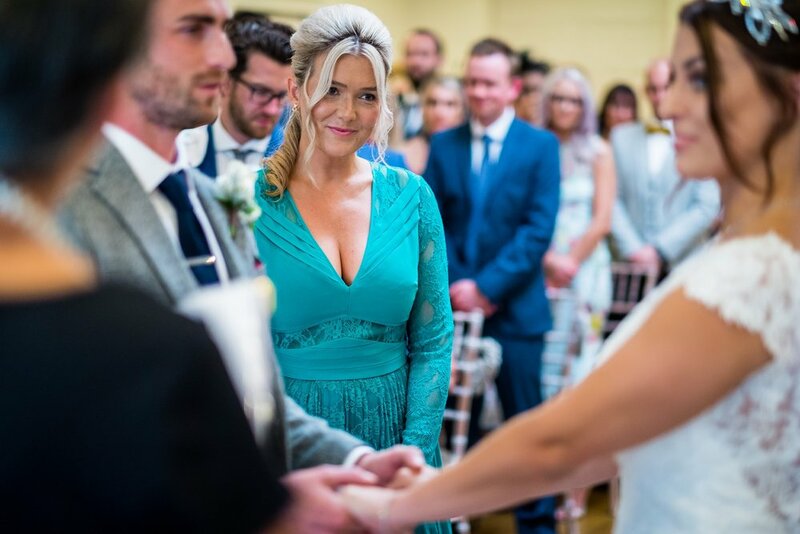 Christa and Aaron's Brockholes Wedding!